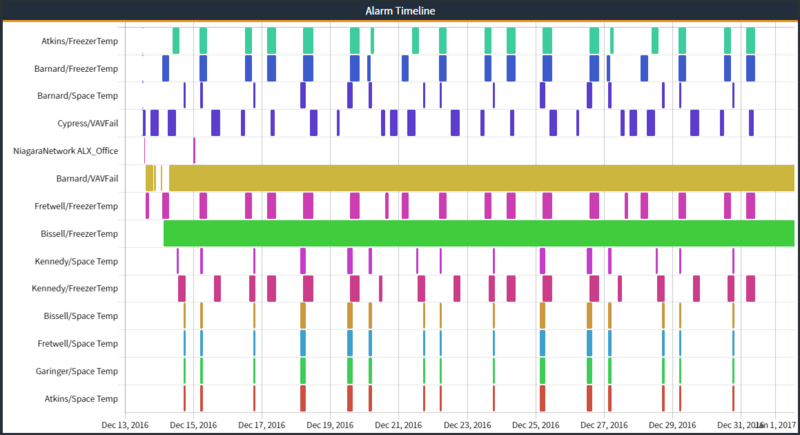 The Alarm Timeline viewlet provides an intuitive look into the Niagara Alarm/Analytics Databases. Users can quickly navigate across date ranges, setup custom filters, and visualize Automation alarms or Niagara Analytics output. Users can quickly see how often an alarm occurs and the length of time the alarm is active.